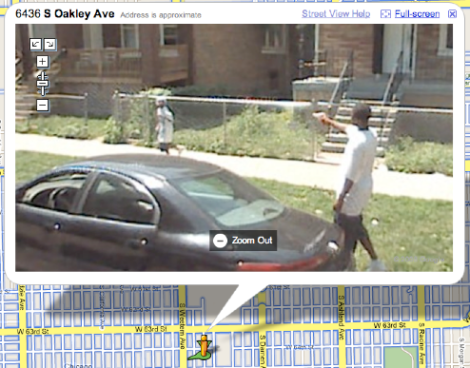 Spotted on Google Maps: a kid pointing a gun at a younger kid. (Okay, it's probably a toy gun.) 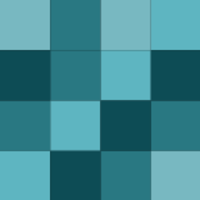 What is it about Chicago? We've already seen a drug deal on the South Side and a girl flashing the camera in Homewood. 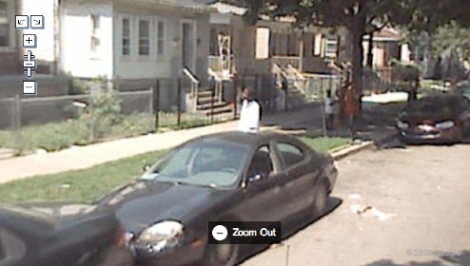 Google Street View Drives By Shooting? So what's with all the Chicago crimespotting? 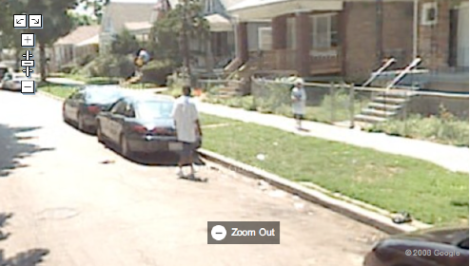 There's no street view for famously crime-ridden Baltimore yet, but what about Brooklyn or L.A.? Somebody please spot something outside of Chicago that's more shocking than a guy falling off a bike.